Como Lake seems to “look” better – is it? The most honest response we can give is, “Well, sort of.” The truth is, it’s hard to point to any stable trends with our lake. That’s one of the problems with a lake that’s out of balance ecologically speaking – it’s volatile and therefore can change from year to year. Some years the algae don’t seem quite as prolific, other years they seem worse. We are told by our partners in local government that some of this is simply due to external variables that impact the growth of algae. For example, if we get a lot of rain one year that produces a lot of water volume in the lake, it can make algae seem less pronounced. 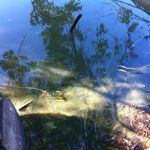 When exactly the spring warm-up begins also has an impact – if the growing season gets started late, sometimes the algae don’t have enough time to take over entirely. There are other factors, but these are just a couple of examples of how external factors can impact the “look” of our lake from year to year. Our goal, really, with the Como Curb Cleanup, is to organize a stable strategy that reduces the NEW phosphorus that flows to the lake each year. 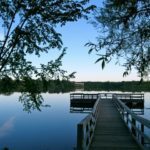 If we can “slow the flow” so to speak, that will make it more feasible, financially, for our watershed district and the cities of St. Paul, Roseville and Falcon Heights, to invest taxpayer dollars in some in-lake treatment strategies, to deal with the phosphorus that’s already in the lake. Those sorts of treatments are more technical and therefore more expensive. But they are only worth the investment if we feel reasonably assured our lake will not go right back to where it was before due to too much new phosphorus coming in each year. This is what our initiative is really trying to do – to organize a critical mass of property owners within the lakeshed who are taking a lead role in phosphorus source prevention, so we can demonstrate we have a reasonable handle on the annual incoming phosphorus, and can justify an investment in a targeted restoration approach. Why are you asking neighbors to sweep leaves from streets? Doesn’t the City do street sweeping? Yes they do. And thank goodness they do. They are able to sweep leaves from ALL of Como, which is very important. Our friends at the University of Minnesota tell us as much as 60% of the phosphorus pollution that flows to Como Lake from our neighborhood comes from leaves. This is because there is a LOT of leaf debris that accumulates in the Como neighborhood, and because Como Lake is already degraded due to excessive nutrients, we residents are needed to augment what the City does. 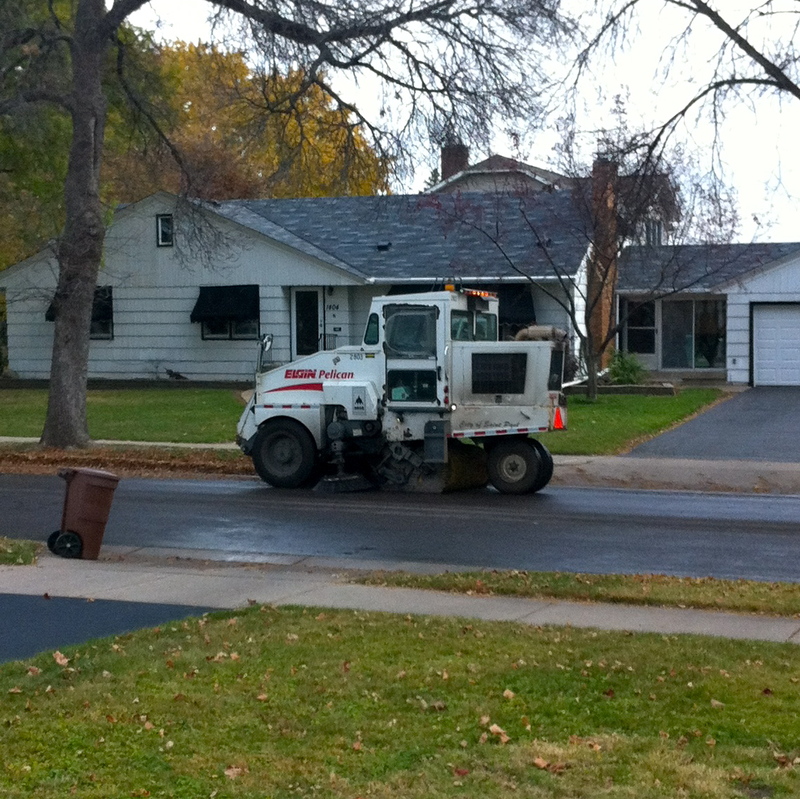 The City has to sweep the entire City of St. Paul, so they are only able to come through Como once in the Fall. Usually they wait until most of the leaves are down before doing this. The problem is, when leaves sit in our street gutters for many weeks – starting in September and usually going through November – each time it rains their nutrients leach into the runoff, which then flows into our storm sewers and into Como Lake and the Mississippi River. 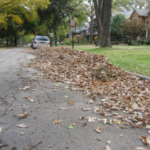 By keeping leaves out of the gutter BEFORE City sweepers come through (and after) we can have a significant pollution prevention impact, if enough of us neighbors are able to get out there and help. How can leaves be pollution? What about all the trees around Como Lake? Don’t their leaves contribute phosphorus to the lake? Yes. 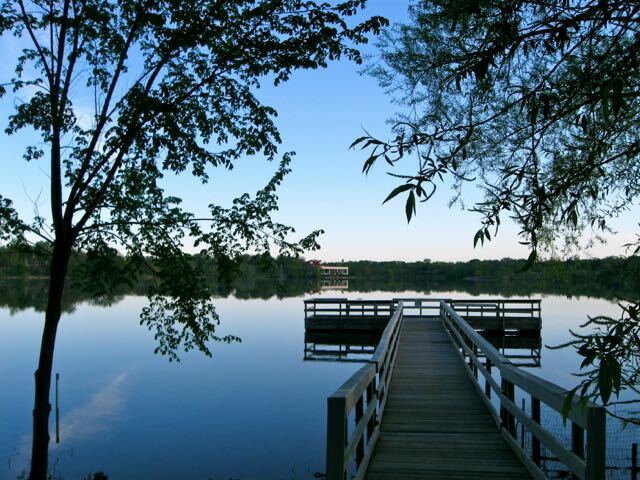 In a natural setting, it’s normal for a lake to take in nutrients from organic debris that falls into it from nearby shoreline plants and trees, or from the plants that grow in the lake itself. 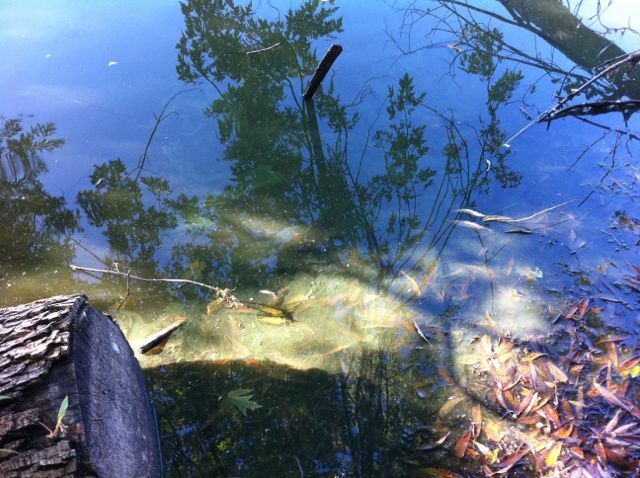 Even streams that flow into a lake will have some nutrients from leaves and other organics in the water. What’s not natural is for a lake to take in stormwater runoff from an urban landscape that’s 24-times the size of the lake itself. That’s how big Como Lake’s “lakeshed” is. Go HERE to see a map. Because of the stormwater conveyance system that runs underground, neighborhood runoff from as far north as Roselawn Avenue in Roseville is fast-tracked to our lake. And because over 1/3 of this lakeshed land area is covered by “impervious” surfaces (streets, parking lots, rooftops, driveways, sidewalks) any leaves that fall on these surfaces will decompose right there and the nutrients they release are washed by runoff into our sewers. Como Lake no longer has any natural tributaries bringing “fresh” water into it. Today our lake is very nearly 100% stormwater (save for the rain that falls directly on it). So all the water that flows to our lake carries pollution from our urban landscape. I see my neighbor sweeping leaves into the street! What can be done to stop them? This is a tough one. 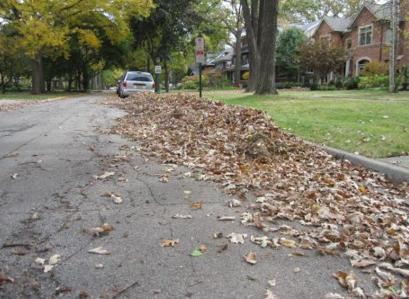 It is in fact against St. Paul City ordinance to sweep leaves into the street (Municipal Code Section 106.02.). So you would be correct if you told this neighbor their actions are illegal. Sometimes this can work, if you are diplomatic. Sometimes neighbors are simply unaware this is illegal. However, confrontation is not always the most effective approach for issues like this, and can sometimes lead to defensiveness or making the problem worse. Similarly, you would be within your rights to report this neighbor to the City’s office of Safety and Inspections, however it takes time for their violations process to work. The approach of the Como Active Citizen Network is to focus our time and energy on building a coalition of the willing – our growing network of neighbors who are removing leaves from gutters rather than adding them. Leading by example is, we think, a more effective way to create positive community norms. If other neighbors, who live on the same block as a person doing the wrong thing, are organized to do the right thing – demonstrate the practice of curb cleaning – this can sometime influence a change. This is not always a satisfying answer to some of our neighbors, so we leave it to each person to decide what response is right for them. Why do Roseville residents sweep their leaves into the street? This is sometimes confusing to Como residents. They will see Roseville residents sweep leaves into the street, so they think this is what they should do in St. Paul as well. The difference is Roseville used to run a program that allowed residents to sign up (for a fee) and have their yard leaves vacuumed by a large truck. This program is now being phased out, incidentally. And in truth, residents who participated were supposed to rake their leaves onto their boulevard, NOT into the street. However, as many of us have seen, many Roseville residents do exactly that. This gives St. Paul residents the impression they should rake their leaves into the street as well. Their cue, they think, is when they see the City put up those signs along their block telling them not to park on the street – a telltale sign the street sweepers are about to come through. Although it is tempting, this is not something one should do. It is illegal. And, if it rains while your leaves are out there waiting for the City sweepers, lots of nutrients will wash into Como Lake.